Garry - The owner of this professional mobile disco company. I specialise in wedding entertainment and can provide a great selection of music at your wedding reception to cater for all ages. I will keep the evening lively and interesting thus making your reception memorable. I can also provide a photo slide show, an electronic message board, balloons / glow sticks for the kids, and a confetti cannon during the first dance. I can supply karaoke, a kids disco with games and prizes, and birthday entertainment. I am one of the resident Djs at a local wedding venue / restaurant. Brett - A professional DJ for over 17 years Brett is a friendly family guy that gets great satisfaction from a successful party event and works hard to ensure the customer is always happy. He will cater for all types of party in and around Essex. He has also been a children’s entertainer for many years and as well as private parties he has worked many local schools and youth clubs in the area. He is always smartly dressed and punctual and can play music from the swinging 60s to the very latest chart topping hits and will happily accept your music requests on the night. Mick - Based in Basildon but willing to travel to accommodate your party. Mick prefers the “up to date” music and so usually covers the 16th, 18th, and 21st birthday parties but will cover all party events as required. Mick really knows his music and can easily “read a crowd” and decide what is needed to get people dancing. Should you need a special or unusual song for your party then Mick is the man to find it. Another Dj with several years of experience behind him who will go the extra mile to make your party one to remember. Tony - Also likes to specialise in wedding entertainment but will cover any party event as needed, whatever the occasion. Based in Canvey Tony will travel throughout Essex and some parts of London. Due to his daytime work in and around London Tony is very familiar with the London wedding venues. He has been in the Dj business for around 30 years and so is very experienced at all party events and will work hard to ensure a successful evening. He has good disco lighting and sound system and carries a very large collection of music on CD. 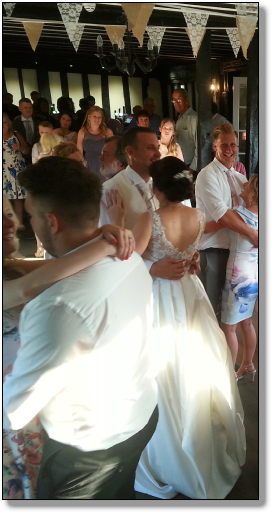 Robbie - Another professional mobile DJ with over 25 years experience makes Robbie one of our top quality Djs. Based in Rainham he has travelled extensively thoughout Essex, Kent and Middlesex and is also very familiar with the top London venues. There are several packages available depending on your function and numbers of guests attending. A massive collection of over 80,000 song tracks and superb disco lighting will ensure your evening is of the highest quality. A local meeting can be arranged for weddings to ensure peace of mind on your wedding day. 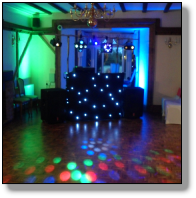 A good mobile dj in Essex can really bring the party alive with a great light show, quality sound system, and music to suit the guests at your event, whatever you are celebrating. 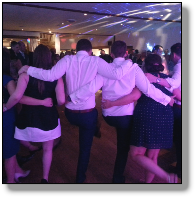 Our Essex-based mobile djs will travel to any venue in and around Essex to provide a fun and successful evening’s entertainment. 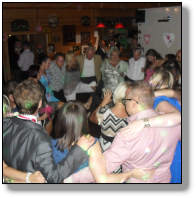 We have professional mobile djs to cater for all occasions, such as weddings, birthdays, kids parties, anniversaries, engagements, karaoke and corporate events. Whatever your reason for having a party you can be sure we will deliver a good night. All mobile discos will require a small deposit to secure the date, and all bookings are confirmed in writing. Your mobile dj will keep in contact with you prior to your event. We can offer various services with our mobile discos which include up-lighting, photo display, projector services, hand held confetti cannons, bubble and fog machines, radio mics and more. Please contact us for a free personal quote for your event. You will normally receive your quote within a few hours. 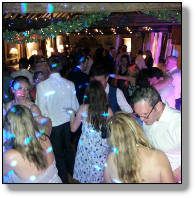 With so many mobile discos around its not easy deciding which mobile dj to hire for your party event. Rest assured that we have the experience to deliver a great night of entertainment and have attained lots of good feedback from past customer events. Remember to book your mobile disco early as dates in our diaries are getting booked up very quickly.